So a about a year ago I graduated from college. Kinda seems irrelevant to the blog, until I tell you the shoe ordeal leading up to the ceremony. I was dead-set on wearing my Nikes while I walked across the stage. My mom pleaded with me not to. Seeing as how she and my dad made it possible for me to be graduating in the first place- I figured I owed it to her to bend to her request. 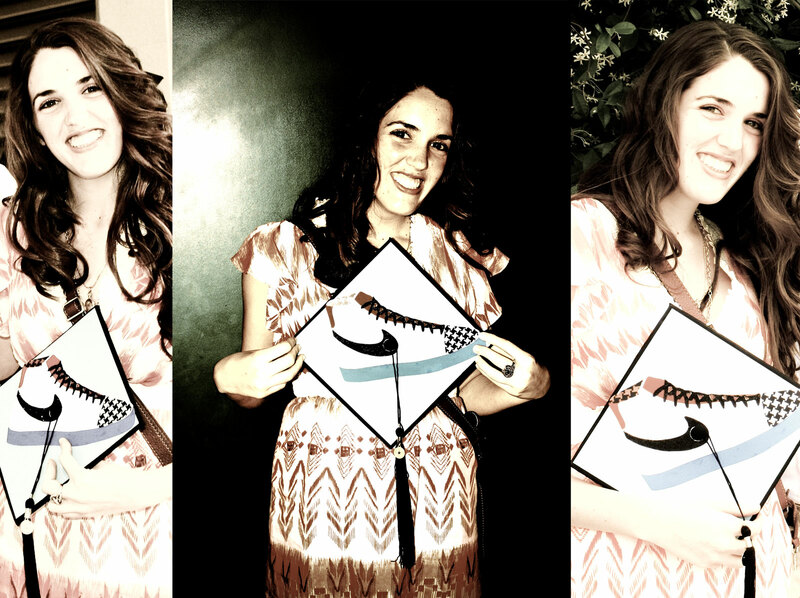 The way I compromised was by collaging a Nike blazer on the top of my graduation cap. I guess I can still say I wore Nike to my graduation.